Lorraine Emma Cowan, 90, of Akron went to be with the Lord on July 8, 2018. She joins her husband, Fred Floyd Cowan, 3 sisters, and 4 brothers of the Corbett family, and a granddaughter, Emily Rebecca Cowan. She was born on November 25, 1927 to the late Floyd and Florence (Hasfurter) Corbett and a 1946 graduate of Akron High School. Lorraine and Fred Floyd Cowan married May 25, 1949 and had two children. She was a loving wife and mother. Family was the most important part of her life. Lorraine looked forward to annual vacations throughout the U.S. visiting family. She participated with members of the Evangel Assembly of God Church on a tour of Israel. Lorraine attended Eastern Hills Wesleyan Church and was involved with Woman's Ministry and Care Ministry. In her spare time, she loved bowling, walking, and gardening. 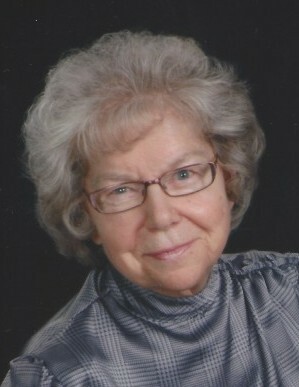 Devoted mother of Brenda (Jimmy) Peters and Fred (Linda)Cowan II; cherished grandmother of Ronald Reid IV, Michael (Sara) Reid, Eric (Samantha) Cowan, Erin (Daniel) Hegg, Bryan (Lindsay) Peters, and Holly (John Thomas) Peters; beloved great-grandmother of Daniel Reid, Adelyn Reid, Nicolas and Joshua Cowan, Bryson and Ryker Hegg, and Yael Thomas. She also leaves a dear sister, Jeanette Giesler of Akron. Friends and Family may call Thursday, July 12, 2018 from 3:00 - 7:00 p.m. at Ross Funeral Home of Akron, LLC, 10 Eckerson Avenue, Akron, NY 14001. Funeral Service will be held Friday, July 13, 2018 at 11:00 a.m. The family requests in lieu of flowers, donations may be made to Eastern Hills Wesleyan Church, and the American Cancer and American Diabetes Associations in the name of Lorraine Cowan.